While exploring Louisiana on our Rollin’ on the River trip, we passed by many plantations along the Mississipi River. Since we had just spent the night at Nottoway Plantation (a highly recommended experience), we decided not to visit Oak Alley Plantation but couldn’t resist a quick snapshot. – Known as the “Grande Dame of the Great River Road,” the antebellum mansion was built in 1837 for Jacques Telesphore Roman, a sugar cane grower and brother of the then-governor of Louisiana. – It was originally called Bon Sejour (good stay) Plantation, but soon became known as Oak Alley for the double row of oak trees leading from the house to the Mississippi. – Incidentally, the oak trees were planted in the 18th century – long before the house was ever built. – Its most distinguishing architectural feature is the free-standing colonnade of 28 colossal Doric columns, surrounding the mansion on all four sides. – A favorite TV and movie filming location, the plantation was featured in the movies Interview with a Vampire and Primary Colors. 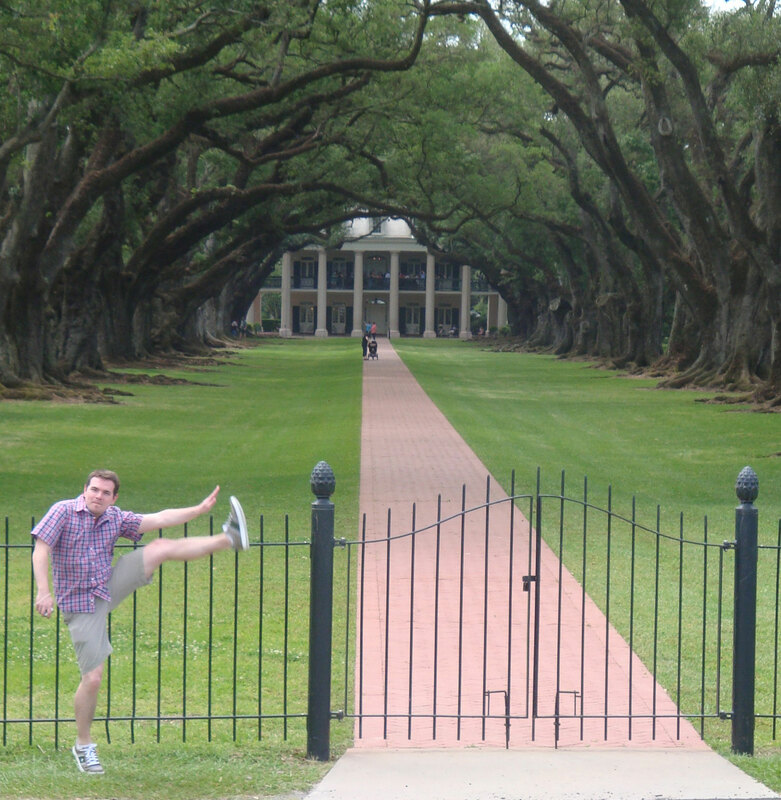 This entry was posted in High Kick Photos and tagged Chicago to New Orleans Road Trip, High Kick, Oak Alley Plantation. Bookmark the permalink.